It is a great pleasure to start 2016 with a return of the guest blog post and this year I am honoured by a piece by holy well author, Ian Thompson, who having published four works on the subject, is a great authority. Based in Lincolnshire, where he runs Bluestone Books (http://www.bluestonebooks.co.uk/index.php), he has published a number of local history works, hagiography and guides to Eastern Orthodoxy. 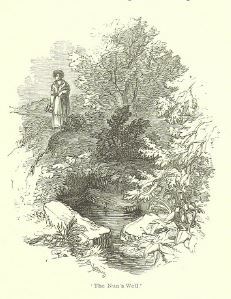 However it is his works , the first co-written with his wife- Water of Life: Springs and Wells of Mainland Britain and Lesser Known Holy Wells and curious water sources and Springs and Wells of Lincolnshire, the important Hermits and Well Churches and Saints, Chapels and wells which makes him more than qualified,…and so in this article he discusses the history and mystery of North Lincolnshire’s Templar Bath. There is no doubt in my own mind that the Templar’s Bath is a folly and an imposture, though the imposture was almost certainly the result of miscalculation. Edward Peacock, on whose property the Bath was situated, was a man well known and respected in academic circles and a noted collector of archaeological material. He probably misrepresented the Bath to a colleague or visitor for reasons of vanity or local patriotism, never dreaming that the matter would get into the public domain. He must have been horrified when it did so, for it threatened his very standing within the scholarly community. All that he could do was to retreat into silence and try to cover his tracks, and this he did with remarkable success. 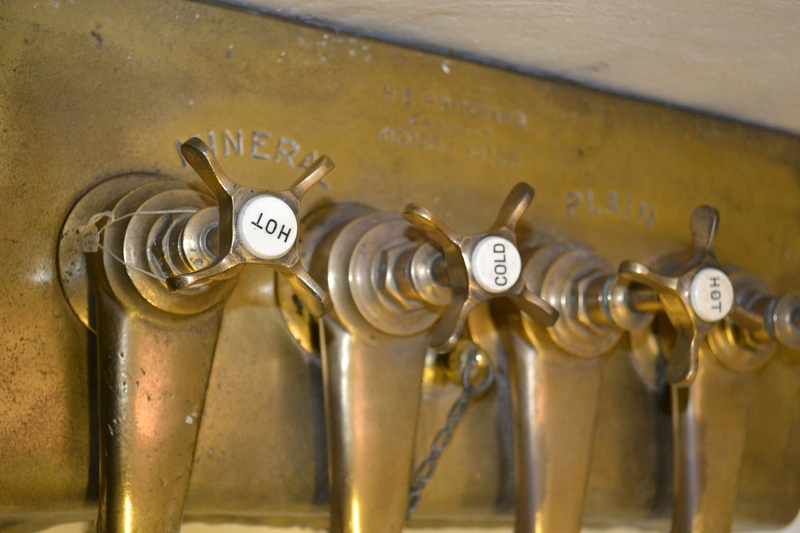 For more than a hundred years people scratched their heads and speculated about the Bath but no-one seems to have guessed the truth – no-one, that is, except for a very few persons ‘in the know’. However I must stop talking in riddles. Edward Peacock FSA of Bottesford Manor (near Scunthorpe) was a distinguished Victorian antiquary. He rebuilt the Manor House, giving it a romantic ‘Tudor’ skyline, added a coach house and library complete with baronial turret, and improved the village in certain small ways. It is almost certainly to Peacock that we owe the Cornish-style well house which now covers St John’s Well, the ancient church spring. Also, and since Peacock is the culprit of my story, it is necessary to say some things in his defence. Though largely self-taught he was a leading member of various learned societies and a pioneer in the study of Lincolnshire dialect. A young man once presented himself at the British Museum Library without a reader’s ticket, and was given the freedom of the manuscript room without one when it was discovered that his parents were known to Peacock.1 Among other qualities Peacock had a rare talent for bringing a subject to life. His Glossary of local dialect words abounds in delightful illustrative anecdotes and the second (2-volume) edition of this work (1888-89) contains two chapters of the Old Testament rendered in the North Lincolnshire dialect of Peacock’s day. It is to Peacock that we owe the Diary of Abraham de la Pryme (Surtees Society 1869) which he rescued from obscurity and helped to edit. In short, he had a well-deserved and solid reputation. To return to the Templar’s Bath. 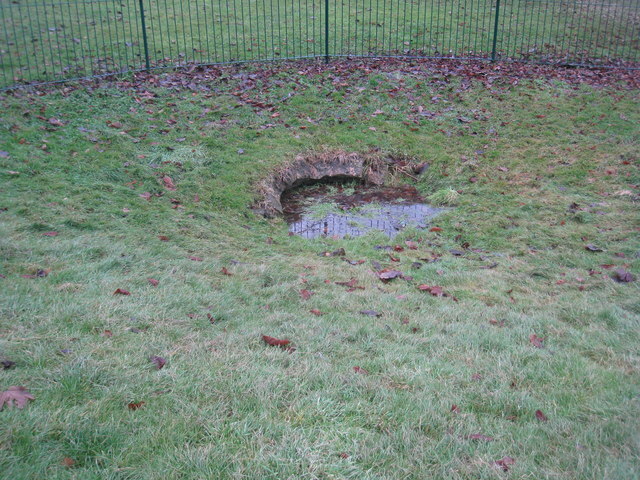 What we now see is a stone-arched spring in a grassy hollow on a new housing estate, the hollow itself being the result of recent landscaping. 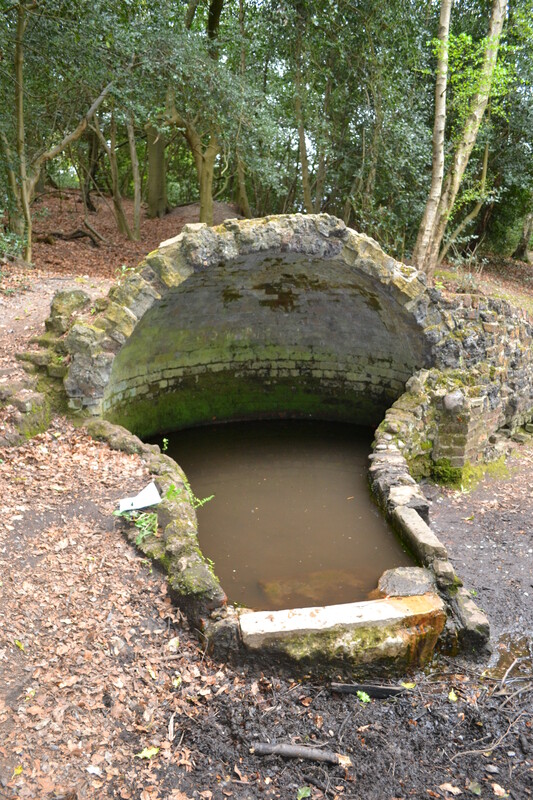 In winter the water forms a circular pool several feet wide, sometimes entirely submerging the arch, but in a hot summer the site can be virtually dry. However most of the Templar’s Bath now lies beneath the soil. A much-faded photograph in the possession of the North Lincolnshire Museum, dating from about 1925, shows the Bath to be a roughly circular stone structure about five feet deep, consisting of several stone steps curving downwards to a narrow arched doorway. Beyond this doorway lay a domed chamber perhaps three feet in diameter. (Better to visualise the Bath, imagine a stone structure nearly twice as big as an old-fashioned bathroom cistern, with the front cut away to allow access to the interior. Or think of a medieval lock-up). 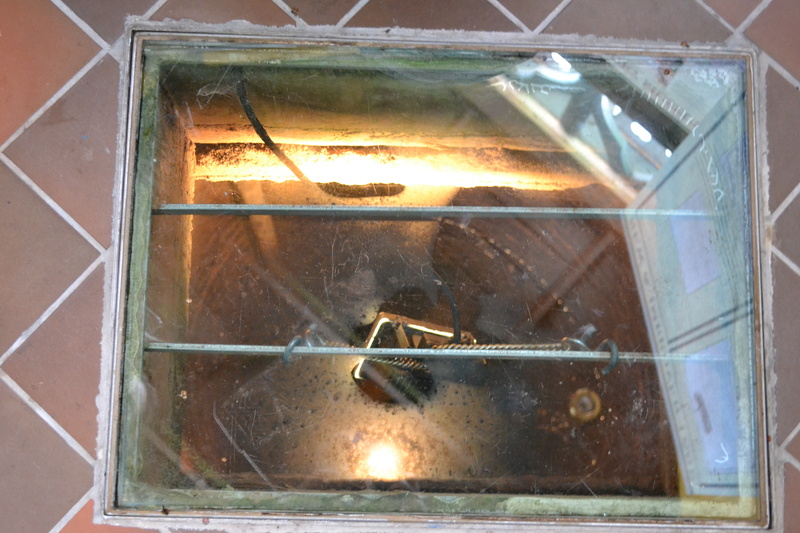 No water is visible in the photograph but we may assume that the lower steps and the chamber itself frequently enclosed a pool several feet deep. Only the top of the arch protruded above ground level. The subterranean nature of the Bath and its lack of any protective enclosure must always have rendered it liable to silting. Moreover the field in which it was situated was, until fairly recently, permanent pasture. Cattle grazed it and drank from the water, and the Bath rapidly filled with mud. 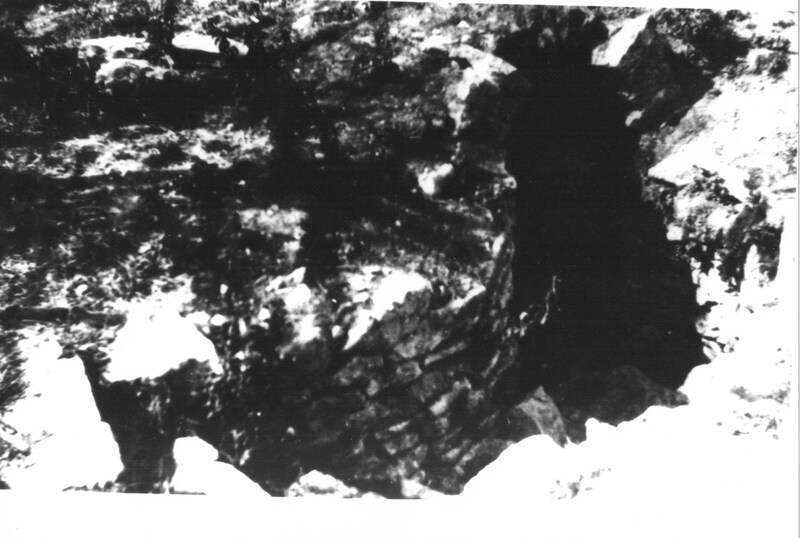 In 1925 (presumably just before the photograph was taken) the then owner of the field, Mr John A. Jackson, dug out the infill and executed some repairs to the structure. Thereafter it was again neglected and quickly reverted to its former state. Then, in the 1980s, the field was sold for housing, and although the Bath and its surrounds were exempted from development and eventually grassed over, no attempt was made to clean it out again. In retrospect this was probably wise since it saved the Bath from the likelihood of damage by vandals. The road by which it is now approached is called Crispin Way. In fact the photograph above shows at least five and possibly six or seven steps leading down to the interior of the Bath, so that what Dudley remembered seeing was merely the upper part of the structure. More significantly we now know that the Templars never had a preceptory at Bottesford. The land which they owned in the village was merely rented out to provide revenue for their preceptory at Willoughton, ten miles to the south. 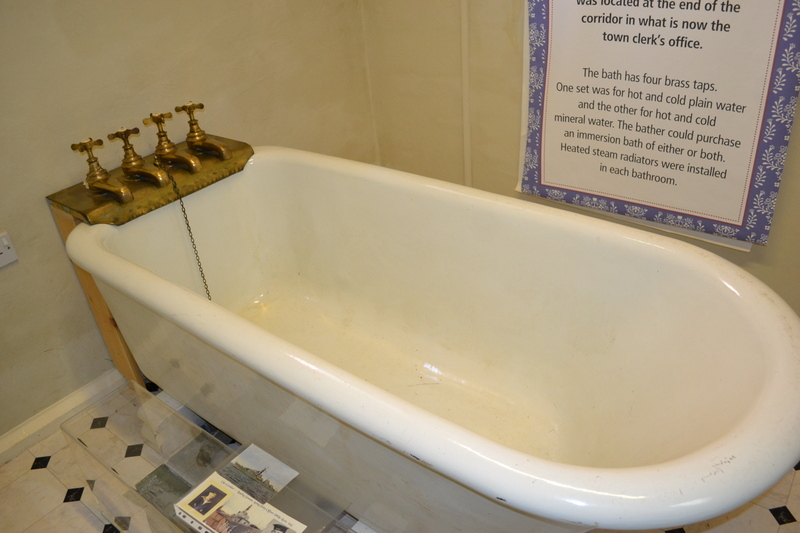 The first public doubts about the antiquity of the Bath were voiced in 1983 when a local newspaper carried an article about it,2 incorporating the reminiscences of Mr Reg Coggan of Scotter (now deceased). 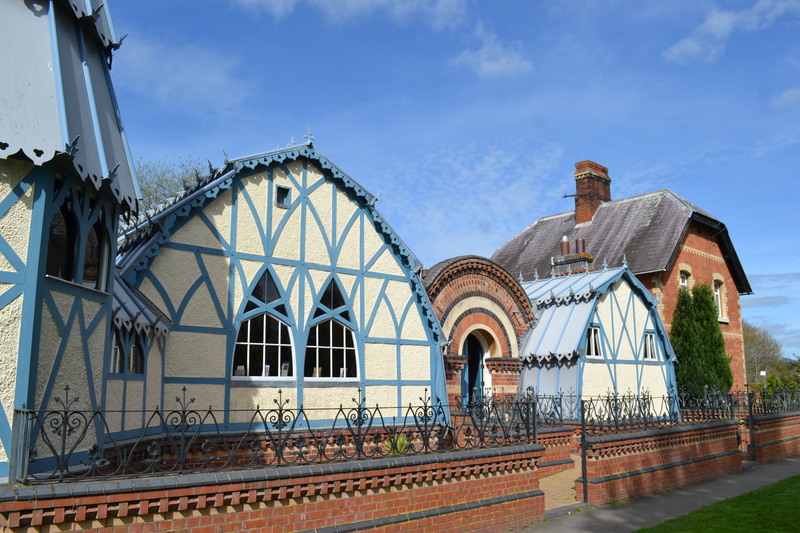 He was the grandson by marriage of a local bricklayer, Alfred Lawson, and according to Coggan, Lawson claimed to have built the Bath from scratch, in or about the year 1880, to Peacock’s specifications. We know, from an entry in Peacock’s account book, that Lawson was employed to undertake work on the Bath, but the wording of the entry implies that Lawson merely renovated and capped the structure. So which version are we to believe? For sheer impracticality the Templar’s Bath is probably unique. But the design itself, though certainly untypical, is not without precedent. At Little Cawthorpe near Louth there is a strikingly similar structure (though without steps), enclosing a spring within the garden of the former Vicarage. Here, however, the well house is built into the side of a bank and its chamber acts as a protective back wall. 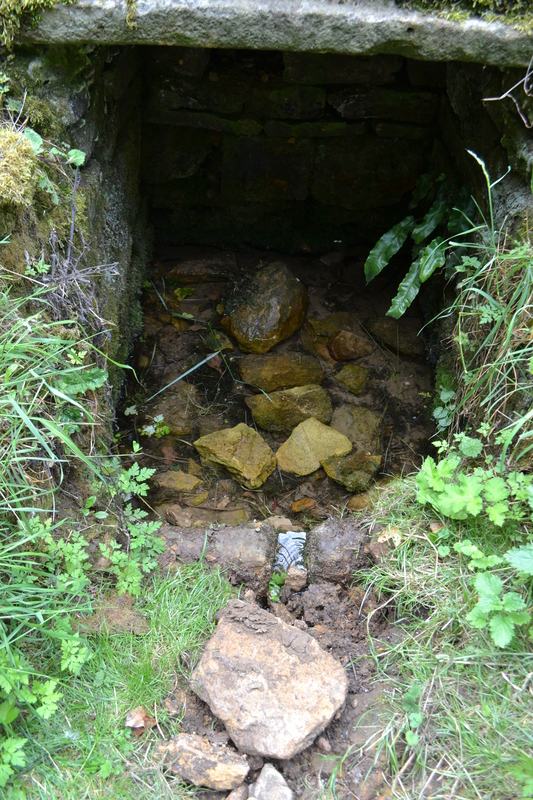 In front of the well house the ground falls away and so there is no danger of silting. This particular well house was built by the Vicar of the parish, the Revd Edmund Huff, c.1858, and it transpires that Huff and Peacock were not entirely unacquainted. We cannot say whether they were ever close friends, but they were leading members of a society dedicated to the reunion of the Church of England with the Church of Rome, and they both played a prominent part in a meeting held for that purpose in London in 1872.3 There are also entries in Peacock’s Journal recording visits to Louth at about this time. The coincidences are, to say the least, suggestive. There is also one piece of negative evidence and it seems to me very telling. Nowhere in Peacock’s private papers (apart from the isolated entry in his account book) and nowhere in his published writings did he ever refer to the Templar’s Bath. This is all the more surprising when we consider his consuming interest in local topographical features. Several local springs are mentioned in the first edition of his Glossary – in fact they are the subject of special entries4 – and he also published a paper on the dedication of wells to St Helena; yet with regard to this most curious structure, almost literally on his doorstep and the very stuff, one would suppose, of antiquarian interest, Peacock is strangely and persistently silent. Why? Now of course there is no reason why a distinguished antiquary should not build a private folly if that is how the fancy takes him. What he must not do is mislead the public or connive at an imposture. And I say this because in 1887 – ie. soon after the Bath was either restored or created – it, and also St John’s Well, were shown for the first time on an Ordnance Survey map, both springs being accorded gothic lettering to denote sites of historical importance. 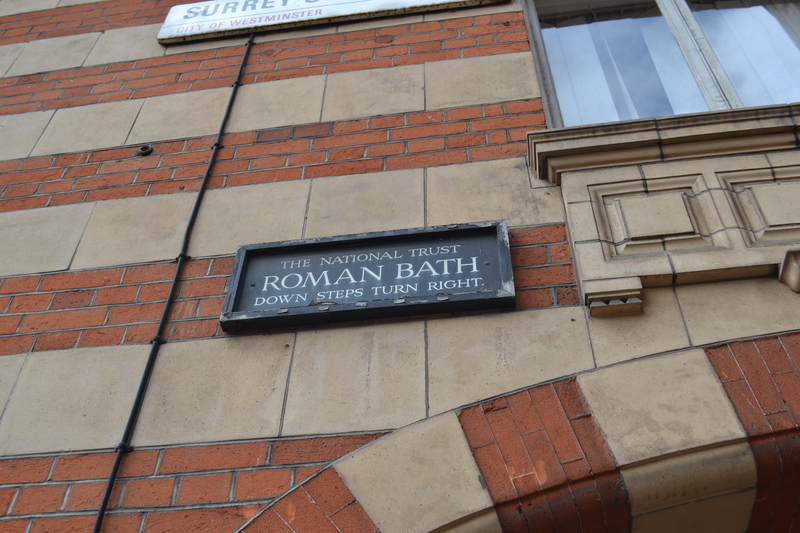 There is something curious even here because neither the OS archives nor the archives of the National Register of Ancient Monuments contain any supporting documentation to say why these sites were so designated; and that, I am told, is highly unusual. The Templar’s Bath enclosed by railings in the housing estate. Who saw the Templar’s Bath and communicated with the OS? And if we accept that it is indeed a sham, why did not Peacock intervene to put the record straight? He must surely have been consulted. Was he too embarrassed to admit that he had perpetrated a folly and passed it off as a genuine antiquity, and did he subsequently visit the OS archives and remove the documentation? This or a similar scenario seems to me the most likely one, for again if we accept that the Bath is spurious it is hard to believe that Peacock would have risked his very considerable reputation by communicating with the OS on his own account. Indeed, his consistent silence on the matter of the Bath tells strongly in favour of some outside intervention. Thus far the case against the antiquity of the Bath. No doubt it falls short of absolute proof but it is, I believe, a convincing case, and one that is now widely accepted. However what follows is pure speculation and I offer it simply as an intriguing possibility, though it would help to explain one or two odd little puzzles. An argument which was often advanced in the years following the newspaper article went something like this: that the Templar’s Bath may indeed be a fake, but at least it encloses a spring, and the spring itself is an authentic part of the history of the village. And perhaps this is so. Yet there was one other curious feature about the Templar’s Bath, or at least about the Templar’s field (ie. Manor Field) before it was consigned to housing development. Over a period of more than twenty years I paid regular visits to the Bath and I was never able to find it without a good deal of searching. Sometimes I was almost ready to swear that it must have been moved! And this was odd because springs are usually quite easy to locate. All one has to do is to find the valley created by the spring-fed stream and trace it backwards to its source. 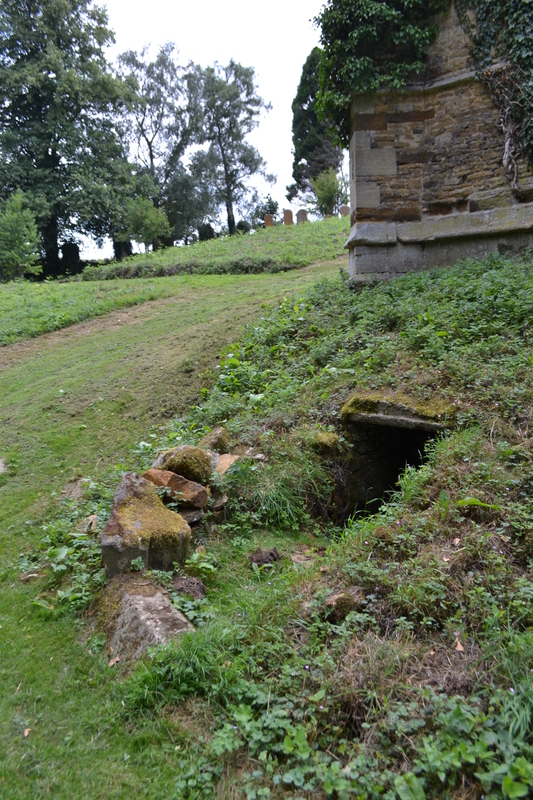 Even semi-subterranean springs, like St Withburga’s Well at East Dereham in Norfolk, leave traces of their underground course in the form of a shallow depression on the surface of the land. In the case of the Templar’s Bath however, not only was there no surface stream, there was no valley either. The land around the Bath was featureless and flat. 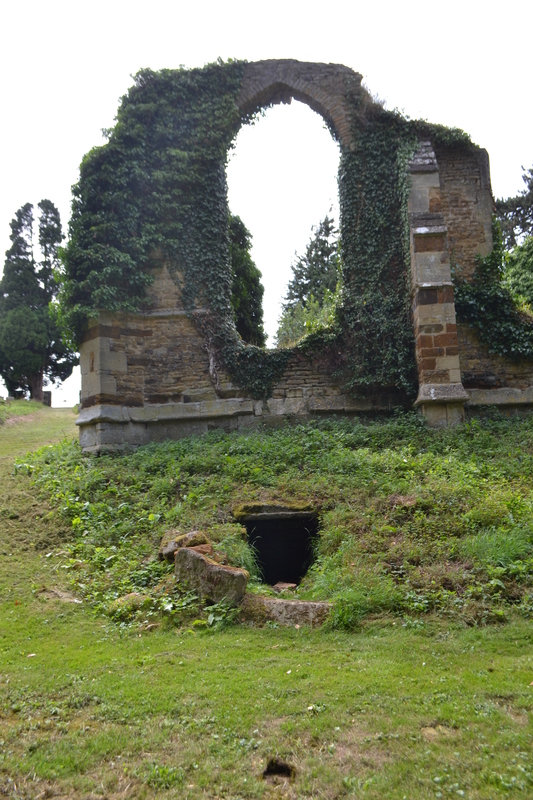 I have often found myself wondering: is the Templar’s Bath really a spring, or could it be a culvert? In former times Bottesford was rich in springs and the valleys created by several of them can still be traced. In three cases we can even identify the former back wall of a spring. However at different times during the nineteenth / early twentieth century these springs were all culverted into Bottesford Beck; mostly by routes which would not take them anywhere near the Templar’s Bath. The exceptions were the springs in the vicinity of the Manor House itself, of which again there seem to have been several. These gave rise to a stream which flowed through the Manor House grounds and then turned away eastwards. If this stream was culverted along the line of its bed (as one would expect) the culvert would pass some way north of the Templar’s Bath. But there could have been (then or later) a distributary culvert to divert some of its water into the Templar’s field. The Templar’s spring is not a very active affair and might perhaps be the result of a distributary culvert. 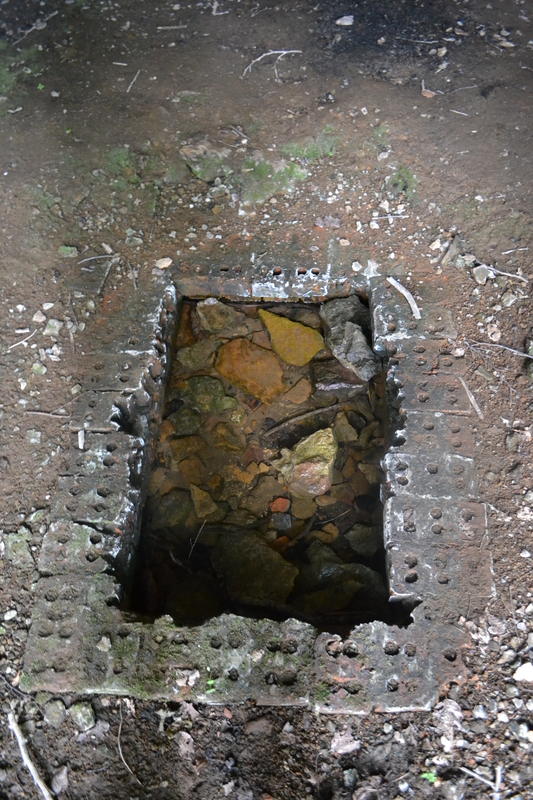 Or there could have been a separate culvert from just one of the Manor House springs. 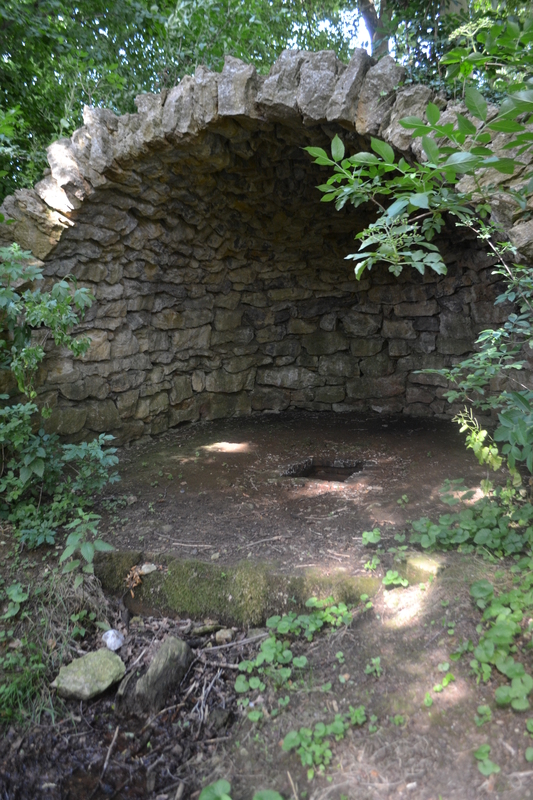 I say this because somewhere in Bottesford there used to be a spring called the Craikle Well – a rag-well,5 once highly esteemed for its curative properties. It was reputed to have restored the sight of a woman who had gone stone blind and to have brought health to a chronically sick child. In the eighteenth century ‘folks used to come in their carriages to it.’6 Yet at some time between about 1860 and 1890 the Craikle Spring disappeared. Shortly after the latter date a palsied man visited Bottesford to obtain a supply of the water, ‘only to find, to his intense disappointment, that it was drained away through an underground channel which rendered it unattainable’.6 These are the words of Peacock’s daughter Mabel, the well-known Lincolnshire folklorist, and a further reference to the Craikle Spring is to be found in a dialect word-list compiled by Peacock’s son Max, viz: ‘Craikle. Spring and Well: now filled in and drained into Bottesford Beck’.7 In the light of this last statement it might be thought fanciful to suggest that the Craikle Spring could have something to do with the Templar’s Bath – except that if the Bath was a folly, then by the time these words came to be written everything connected with it would have become part of a closely-guarded family secret. And here is another odd thing. 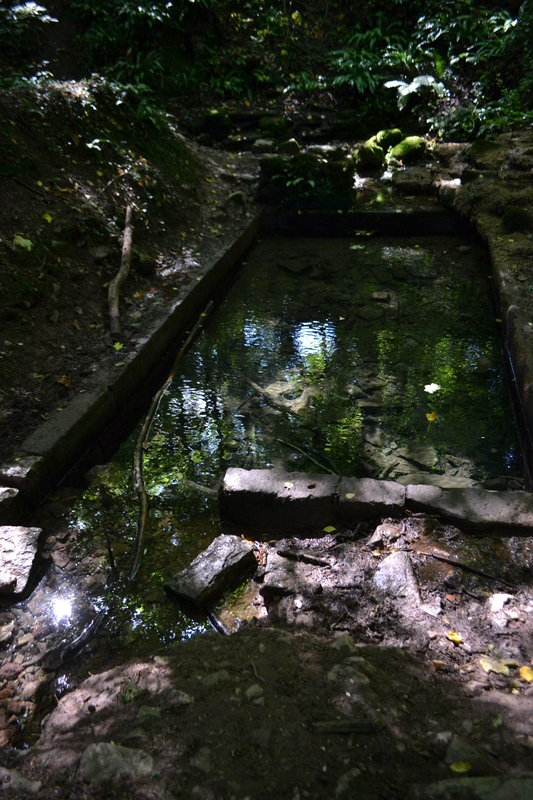 For as with the Templar’s Bath, Peacock never referred to the Craikle Spring in his writings although the name itself must have intrigued him and would have furnished obvious material for his dialect Glossary. Was he personally responsible for its culverting? He was, at that time, the largest landowner in the village, and although not much interested in farming and also, we may suppose, unlikely to have culverted a rag-well for anything other than compelling reasons, he did undertake some culverting in the vicinity of the Manor House in order to build his ambitious new library wing (completed c.1866 and involving the realignment of a part of Manor Road). Yet further. According to Lawson, Peacock did not simply create the Templar’s Bath; he was in the habit of immersing himself in it on a daily basis. This statement could be significant in the light of some evidence that Peacock was – or believed himself to be – prone to a recurring infirmity, for we know from his Journal that he often considered himself to be unwell and kept to his bed. 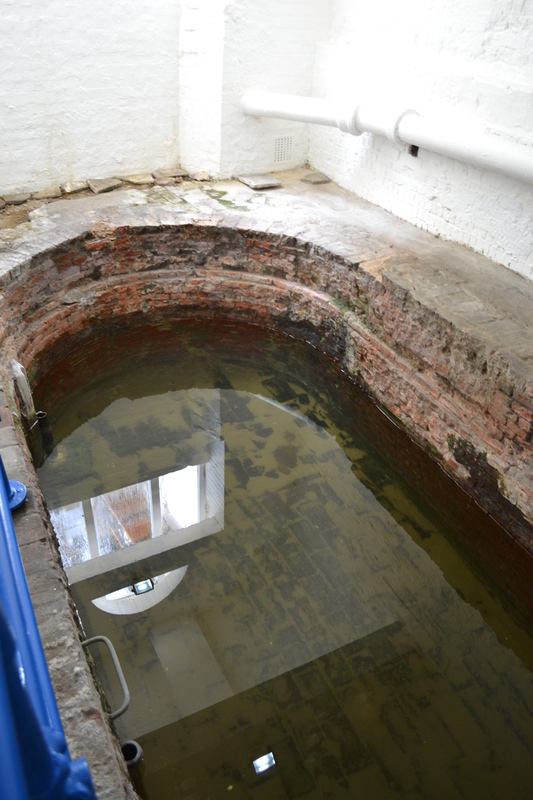 If the Craikle Spring was one of the Manor House culvertings, did it occur to him that its water might prove beneficial in his own case – thus supplying the germ of the idea for the Templar’s Bath? There are several ‘ifs’ here and one is obliged to speculate with a good deal of caution. We do not even know that the Templar’s Bath is in fact fed by a culvert. 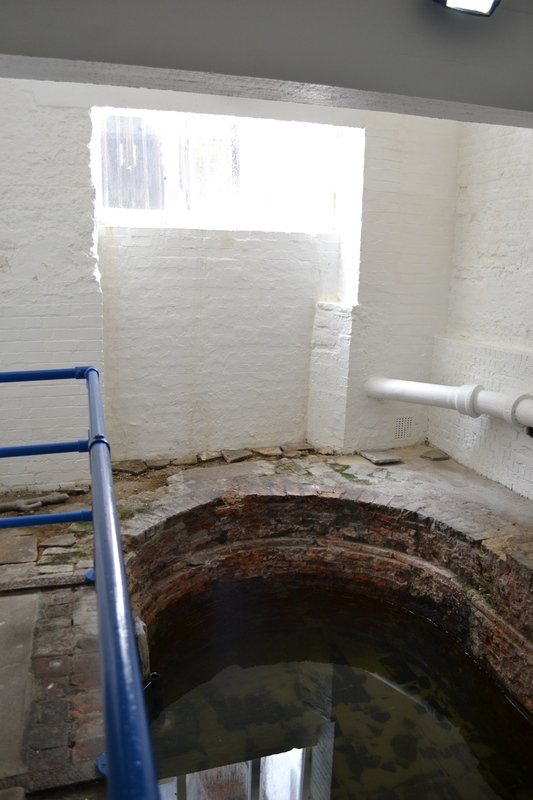 But if it could be shown that it is, then the case for supposing the Bath to be the outfall of the Craikle Spring would at least merit serious attention. Sadly the Bottesford Enclosure maps are of no help to us in determining the whereabouts of the Craikle spring or in showing whether the Templar’s Bath (or Spring) was then in existence since the land within the village itself had been enclosed long before by private agreement. See P.B.G. Binnall, Edward Peacock of Bottesford Manor (typescript, available in some local libraries). The young man in question was George Walshaw. See Bishops at Large by Peter Anson, Faber 1964 pp.64-65 and Peter Binnall’s typescript lecture (mentioned above) which contains a reference to the London meeting and Peacock’s part in it. A notebook kept by Huff, containing information about his own well house, lay for many years in the parish chest but has recently gone missing. A photocopy survives in private hands. On the face of it, the decision to exclude these entries from the second edition of the Glossary is puzzling since they were of obvious local and topographical interest. Was Peacock by that time anxious to divert attention from topographical matters because of the Templar’s Bath? The first edition of the Glossary appeared in 1877 – ie. about three years before Lawson was employed on the Bath. The second edition appeared in 1888-89, just after the publication of the OS map. Again the dates are suggestive. A rag-well is a curative spring at which small pieces of cloth used to be left, usually on a nearby bush. They were originally torn from the clothing of those seeking benefit from the spring. E. Gutch and M. Peacock, Examples of Printed Folklore Concerning Lincolnshire, FLS 1908, pp.8-9. Mabel called it the Craikell Well. If one walks up a small lane into the woods above Henley on Thames, just north of the village of Wargrave is one of the country’s largest, most attractive but little known wells. 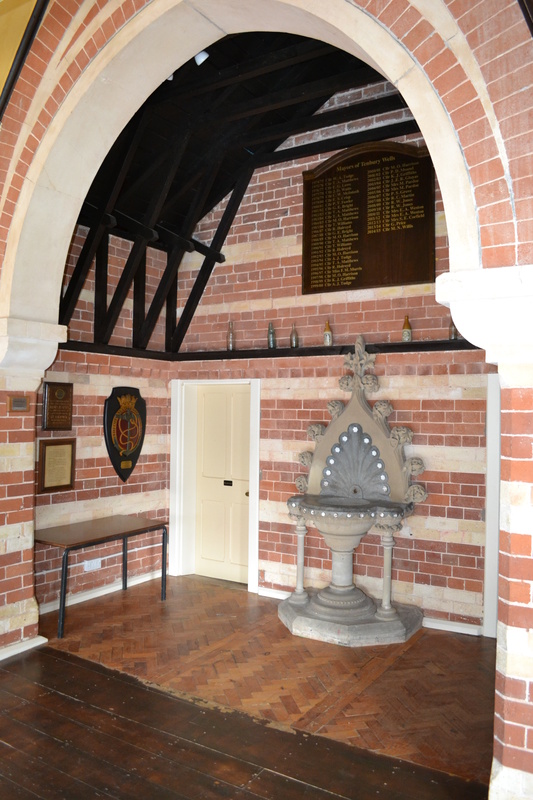 A holy well, although the evidence is lacking to confirm, but a source who’s Victorian community was so much dependent upon that the local vicar decided that it must be Christianised once and for all. That the site has ancient origin is probably indicated by the name, Crazies hill, some authorities believe it which from the O.E cray meaning clean water and its waters were said to be health giving probably because of the local water was boggy. Its old name is said to be Rebra, although it is known as Rebekah now, named after the Old Testament prophetess, indeed the Rebra name sounds more like a contraction of this than an original name as there is no evidence of its name before the current improvements. 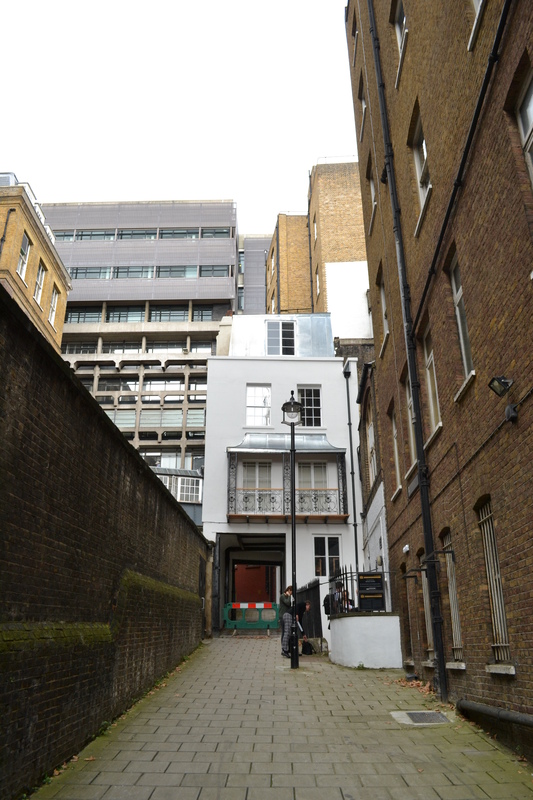 These improvements were down by the local Reverend Greville Phillimore who in 1870 decided it was necessary to improve and sanitise the supply. 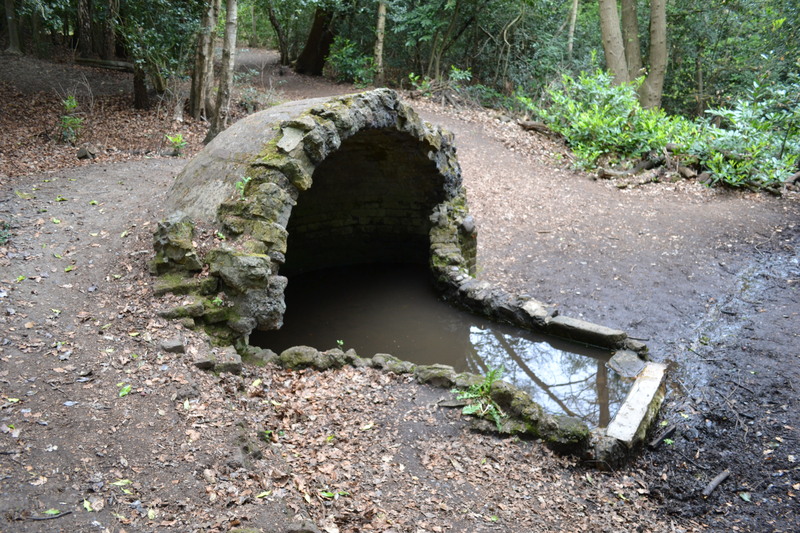 It was subsequently called Phillimore’s spring. “Rebeka and the Servants of Abraham at the well of Nahor. And the servants ran to meet her and said let I pray thee drink a little water of thy pitcher”. 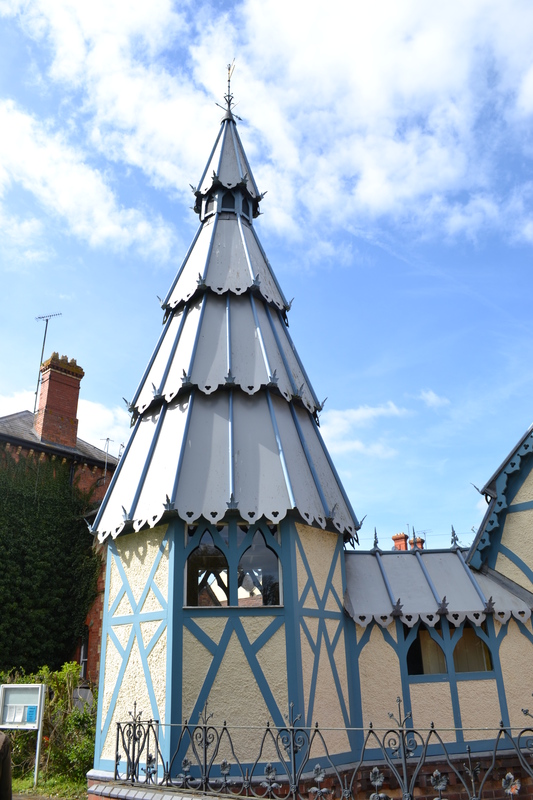 The well house has a conical tiled roof with gabled frontage with an iron gate which prevents the idle falling in perhaps. At the back is a caved stone inscription with a stone in a segmental stone panel. The structure deserves to be better known being that its artwork was designed by famed garden designer Gertrude Jekyll (1843-1932) and thus makes it unique in the country. So said Abraham when he met Rebecca at Nahor and she was is remembered as providing water for Mesopotamian camels. Therefore as someone who provided water for thirsty villagers of this small Berkshire community. It’s a great pleasure once again to introduce a guest blogger. Terry Faull is a well known Devon based landscape historian, he has researched and investigated the origins of the Christians, in what is now Devon and Cornwall, for many years. 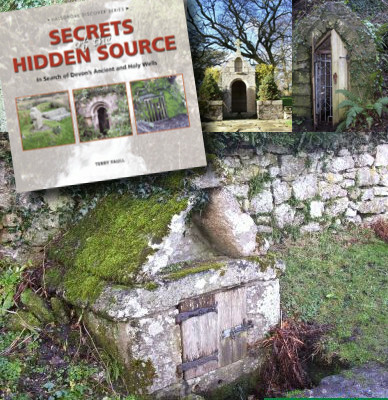 His book Secrets of the Hidden Source is an excellent and long overdue look at the Holy Wells in Devon. Highly recommended! Much holy well research in Britain seems, quite understandably, to concentrate on evidence for the historical origins of the well. This is done by seeking documentary, place name,local tradition,topographical or religious associations which can help establish a point in time why and when it became “holy”. There is little archaeological evidence to support the still popular view that many holy wells originated as pagan cult sites which were “Christianised” perhaps by Celtic Saints or the later church of Augustine of Canterbury. However, votive offerings found at many early water cult sites do demonstrate the significance of some primary water sources to pagan people and the proximity of many wells to church buildings is evidence of their onetime importance to Christians. The medieval church sought to exercise control over popular spirituality and many celebrated holy wells can trace their development from a time when the church acted to demonstrate its authority with a willingness to benefit from gifts left by pious pilgrims. I suggest that above all, a holy well must have its heart, a belief ancient or modern, that here is to be found something “other”, a sense of place or feeling which, for some at least, provides a possibility of experience beyond the everyday. Perhaps the apocryphal Celtic “Thin Place between this world and the Other world” is after all the best description we can offer. Many spiritual ideologies accept the concept of continuing revelation and provide one possible underpinning for identification of a holy well which does nor rely only on historical authenticity. 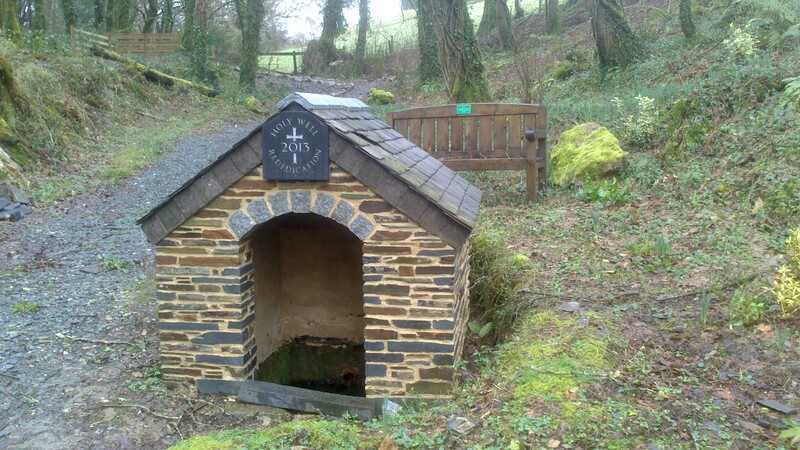 I am fortunate to live quite close to such a place-the holy well at Lewtrenchard in Devon. 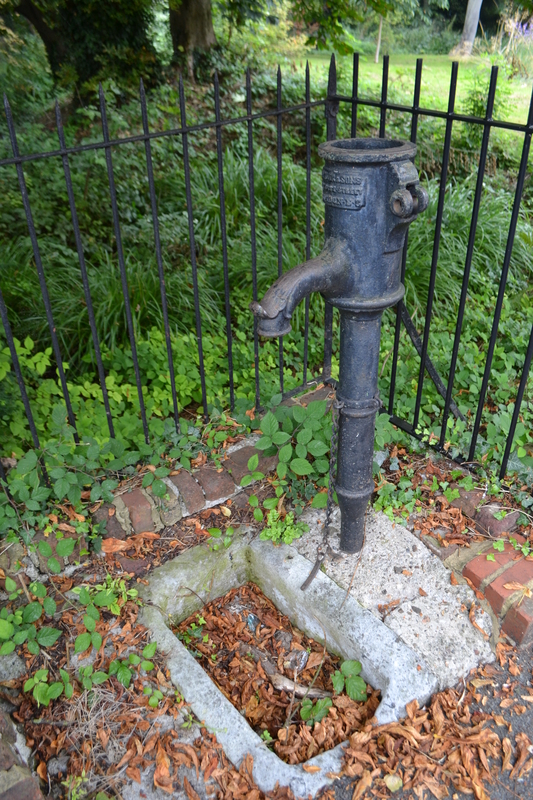 In 1830 the curate there wrote in the parish register “the holy well behind the church has been re-erected and formerly its water was used for the font”. Some 80 years later, just before the outbreak of the First World War, the antiquarian vicar Sabine Baring-Gould developed a pleasure garden around the well site and he rebuilt the wellhouse. This was part of a plan to help restore the health of his crippled wife by encouraging her to walk in the fresh air. Baring -Gould had a great interest in holy wells and his diaries record visits to a number including to the well and church at St Clether where he gave money for the restoration of the buildings. Baring-Gould knew that the identity of the original patron saint of his own church at Lewtrenchard was unknown and he believed it may have orginally been dedicated to that foremost of West Country saints, St.Petroc. Some credence to this view arises from the fact that since at least 1261, Petroc has been the patron saint of the church of nearby Lydford which had been one of the frontier burghs established by King Alfred. 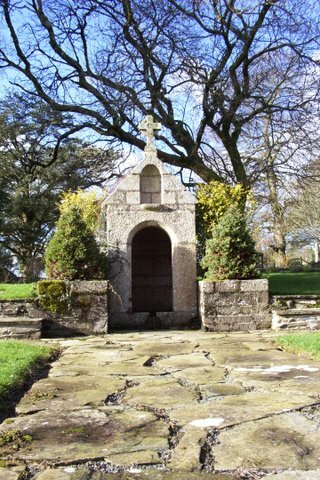 In 1928, soon after Baring-Gould’s death, his ornate structure by then called St. Petroc’s well, was moved to form a centre piece of an ornamental garden at the vicarage; it is this wellhouse in a garden setting which is an English Heritage listed building. The original location of the well and its surrounding garden behind the church were forgotten and then lost. In recent years, through a process of exploration, dowsing and research, the site has been rediscovered and it now forms a focus of a woodland walk around Baring- Gould’s forgotten pleasure garden. In 2013 a new wellhouse was erected on what were believed to be the original foundations. What makes a water source a “holy well” is a matter of ongoing debate and interpretation. However I have no qualms in agreeing with Baring-Gould, that at Lewtrenchard there is indeed a holy well; this relies not on any established ancient origin but on the sense of the place itself. 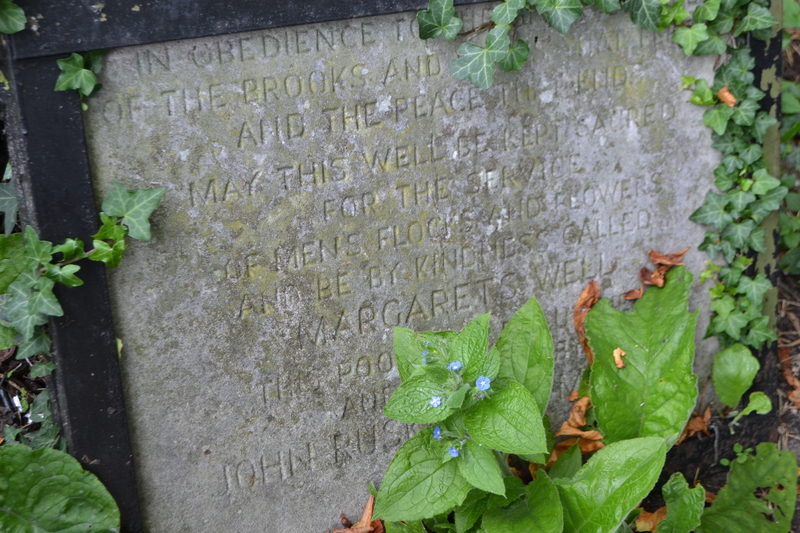 The full story can be found at http://www.forgottengarden.co.uk If you are ever close by, do please visit our “new” Holy Well.